How to trade forex in ICMarkets and make a full time or par-time earn money online opportunity ! You can trade forex with ICmarkets.com . It is an Australia based regulated and licensed ECN broker providing trading services since 2007. 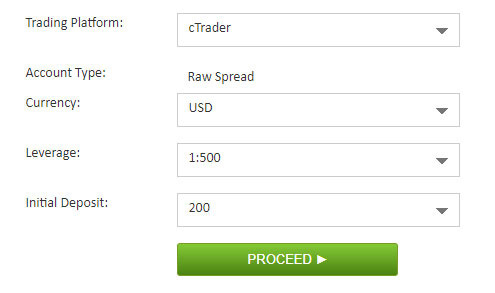 The spreads are low and they offer one of the easiest to use trading platforms called ctrader ( you will love it as almost all calculations are done automatically in ctrader ). You get a free demo account and very useful trading tutorials too. Once you are successful in demo account, you can start live trading with a minimum deposit of $200. You can make this a lucrative earn money online full time or part-time method but you should understand that trading carries very high risk too. So read the whole article first, practice and then you can consider trading online. If you come across anything that is not clear, you can comment on the site or send an email ( but you can find all the necessary information within website ). What is forex and how to make money online with Forex Trading ? It is the world's biggest currency trading market but individual traders like us can trade only via a broker that will link us to the main market. So basically what we will have to do is choose a currency pair ( eg Eur/USD ) then decide if the price goes up or down. Time is not a fix thing here like in Options. You can close the trade at anytime as long as you have funds to cover the trade. If your assumption is correct, you will get profits. If your assumption is wrong, it will result in a loss but you can minimize the loss by using Stop Loss values when placing trades and having enough capital in the account to accommodate the heavy fluctuation in the market. 1. How to open an Icmarkets free forex trading account ? You can register free without making any deposits. Then trade using the practice / demo account as long as you want. ( Once you are successful in demo account, you can start trading in live account at any time. Also you can use both demo and live accounts simultaneously too. ). So Go to below link and register free. Now click on the "Try a Free Demo" grey button. Now you will see the below page. Click on"Accept Declaration & Submit" . Now click on "Proceed" . Now your demo account is ready. Go to your email account and you will see two emails sent by IC market. 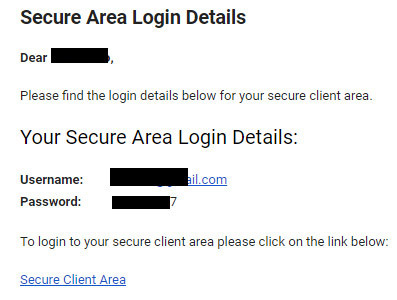 "Secure Area Login Details" are the "username" and "password" for the main dashboard account. So keep it in a safe place. Using this main account, you can create both demo and live forex trading accounts. ( You can change the password by login to dashboard and going to My profile > Change password ). 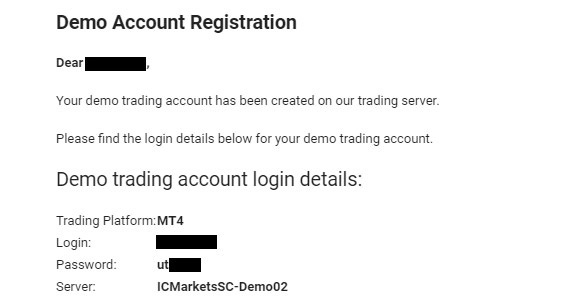 You may have got either "cTrader Demo Account Registration" ( if you registered for ctrader account ) or "mt4 Demo Account Registration" ( if you registered for MT4 account ) email too. This is your demo trading account. Keep it in a safe place too. ( You can create both ctrader and MT4 and test them both. Then you can use the easiest one for you ). 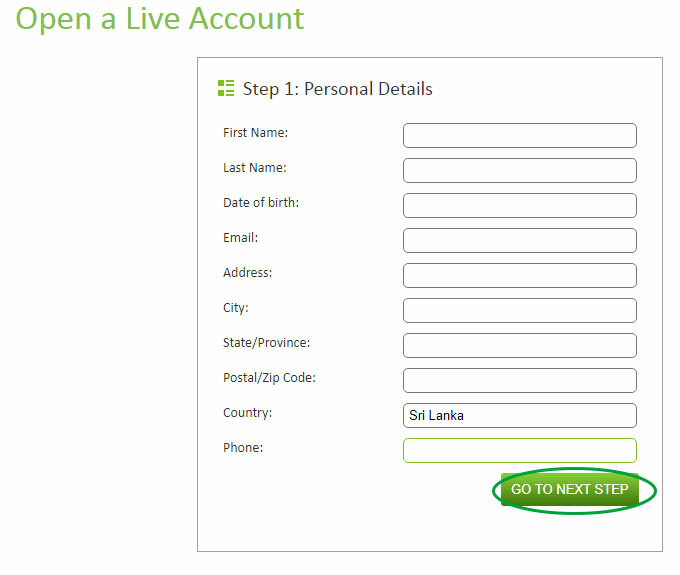 "Account Details" - You can update the Phone and Email address using this section. "Change Password" - As mentioned earlier too, you can change your password in this section. "Platform Credentials" - You can check the demo and live account details. "Accounts Summary" - You can fund the trading accounts and create new accounts. "Downloads" - You can download the trading software's ( MT4, cTrader etc..). "Open Live Account" - Using this link, you can create live real account/s at anytime. 3. How Can I login to the IC Market Trading account ? So now go to "Downloads" link in your main account dahsboard. If you have chosen MT4 account, then click on "Download MT4" to download it . ( If you have a Apple Mac then choose "Apple Mac" from left hand side tab and then click on "Download MT4 for Apple Mac" ). Then install it in your computer. Then launch the MT4 software. Go to "File" > "Login". 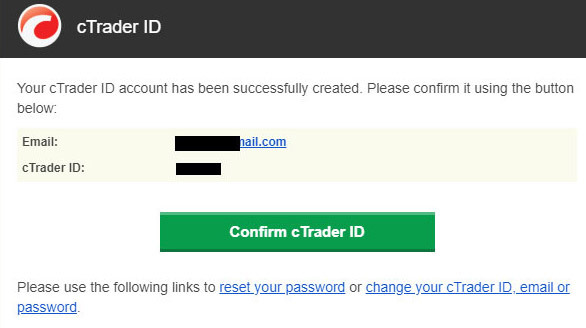 Then enter the Account Number, password and server name ( eg ICMarkets-Demo02 ) details sent to you by ICMarkets. Then it will login to the trading platform. 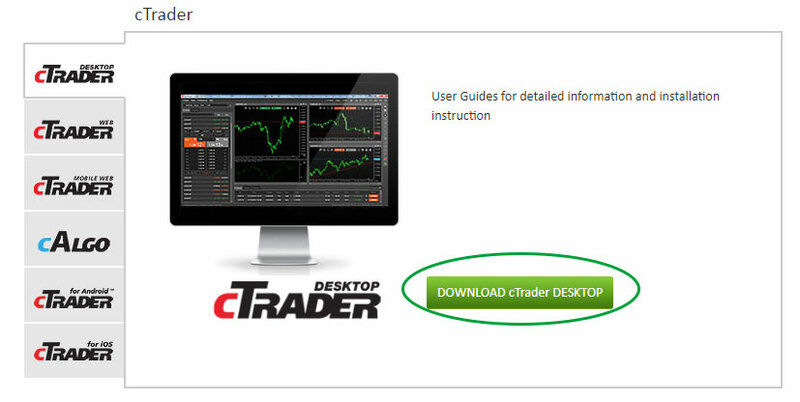 If you choosen Ctrader, go to "Download ctrader Desktop" link and install it in your computer accordingly. Then go to "Sign In” and enter your Account Number and Password. Then it will login you to the trading platform. 4. How to place trades in Icmarkets broker ? You can trade Forex only during weekdays. Forex market is closed on weekends. If you have a good capital, you can hold trades for days or even weeks but if you have a small capital, it would be better to trade within a day using short trades. Candlestick Pattern, Chart Patterns, Support and Resistance and Money Management articles will be helpful to you when trading. As a beginner to forex, always use only around 0.01 - 0.02 pips per trade. Once you are familiar and successful in demo's, you can adjust this value with time. Also make sure to use stop loss value to minize the risk. Go to "Open Live Account" link and you will get a page like below one. Then fill the Date of birth, Address, City, State/Province, Postal/Zip Code ( You can get the code from http://www.geonames.org/postalcode-search.html?q=&country=LK or by googling your area name ) and Phone. Click on "Go to Next Step" . "What is your total estimated annual income ?" ( What you get as income per year ) - Choose "Less than 10,000" or "10,000 to 50,000"
"What is your total estimated net worth?" Choose "Less than 10,000" or "10,000 to 50,000"
"Employment Status" - Choose "Employed", "Self employed", "Un-Employed", Retired or Student.
" Trading Experience ( years )" - Beginners can choose "0" while others can choose according to your trading experience. Then click "Go to Next Step" . “Trading Platform” - Choose wither ලෙස MT4 or cTrader. “Account Base Currency” - Choose USD or EUR. 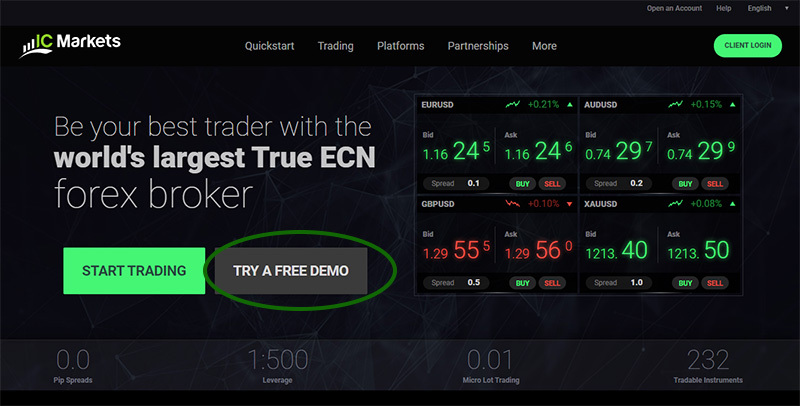 “Account Type” - Choose "True ECN" . For Secret Question & Answer to Question , choose accordingly and make sure to remember both of them. 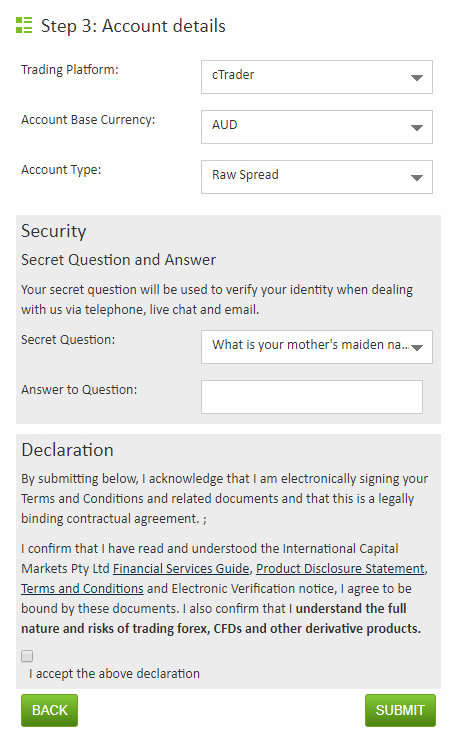 Place a Tick for "I accept the above declaration" and click on "Submit". Now you will get a page as below one. "EMAIL OR UPLOAD MY DOCUMENTS LATER" ( Marked as A ), you can verify your identity and address later on. So let's see how your can verify as well as deposit funds to your trading account. a) How to verify the IC Market live trading account ? First get a clear scan or camera copy of your " Passport ", " Driving License " or " National ID " ( Should be in English or any of the main languages supported by the forex broker ). Then upload it using " UPLOAD " button in section marked as '"C " in above image. Then get a clear scan or camera copy of a Utility bill ( Electricity, Water, Internet, Land Phone etc.. ) , certified bank statement or birth certificate ( Should be in English or any of the main languages supported by the broker ). Then upload it using " UPLOAD " button in section marked as '"D " in above image. b) How to add funds to IC Market live account ? 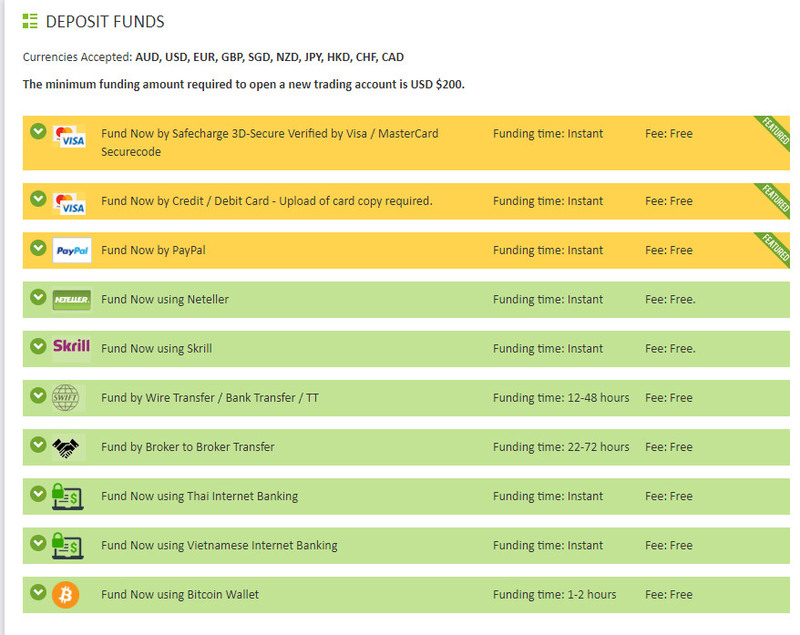 Click on the "Deposit Funds" green colour button on top right of your main account dashboard ( Also you can use the ' deposit funds ' link under the Finance section in that top bar ). 6. I paid but where is my real live account details ? Once the payment is done and documents are successfully uploaded. They will verify the payment source as well as documents to make sure it is really the same person. Then in few days time, you will receive the live account number, password and server details. Keep these details in a secure place as this is the most vital information for the trading account. Then you can login to same trading application you downloaded for demo trading and then login with the new live account credentials. 7. How to withdraw money from ICMarkets Forex Broker ? You can withdraw money at any time from your verified account. In order to make a withdrawal. You can use the following method. Click on the "Withdraw Funds" green button on top right. ( or link under "Finance" section on that top bar ). Then choose the withdrawal method and amount. Finally click " Submit". Then within about 1 - 5 working days you will receive money to your e-wallet. Also using the "Transfer Funds " green colour button, you can transfer funds between your IC Market accounts ( Incase if you have several trading accounts in same main account ) . 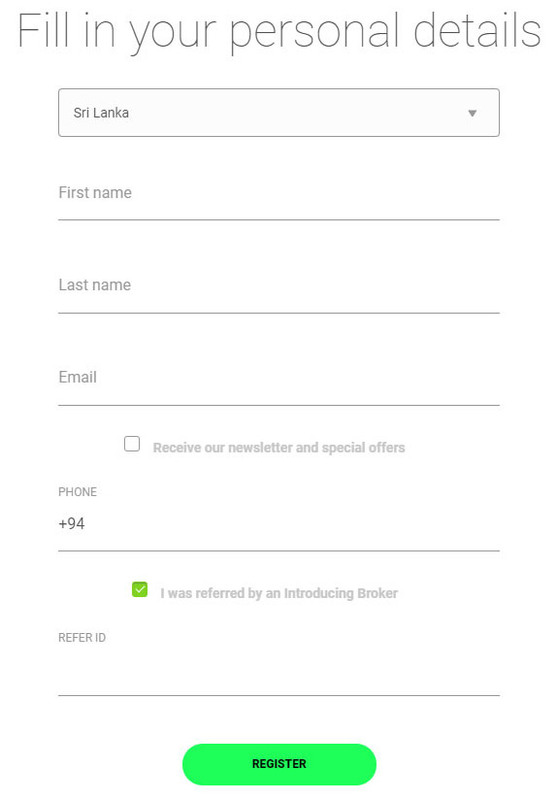 1 ) Can I trust ICMarkets Forex Broker ? Yes. ICMarkets is a licensed and regulated Australian broker since 2007 offering Forex, Bonds, CFD, Metals, Energy and many more for trading. Also you can easily contact the friendly support using chat, email or telephone. 2 ) Can I place trades on both Demo and live accounts ? Yes, you can use both accounts simultaneously. 3 ) How to become successful in Forex trading ? Learning, Practicing and Patience are the key to success. So learn and trade using demo account until you are profitable. Then trade in live account with about $200 or anything higher. 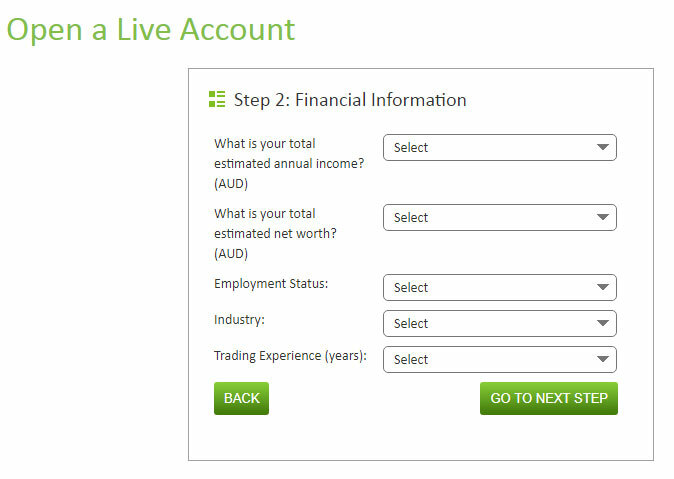 Once you are successful in this live account, you can slowly increase the capital and lot size. 4) What are the safest methods to Deposit and Withdraw money from IC Market Forex Broker ? Skrill or Neteller or Paypal are the best ways for both deposits and withdrawals. 5) Can I deposit directly using my card instead of using Skrill or Neteller ? Direct cards are not recommended as you can withdraw only what you have deposited from cards. You will need Skrill or Neteller or Paypal to withdraw profits. So always use a e-wallet. 6) Do I have to give real information when registering ? Yes. You should always give real details. 7) Can I make any number of demo and live account ? 8) What are the days that I can trade ? 9 ) Can I deposit borrowed money or money that I have for day to day expenses ? No. Forex trading is a high yield investment but carries a high level of risk too. So invest only what you can afford to risk only. You should think as an entrepreneur ! 10) What are the useful information to improve trading ? You can refer Forex Money Management article as well as refer tradingview trading ideas for better trading experience. Register Free with IC Market !